The Iowa Department of Natural Resources issues a weekly fishing report on Thursdays in an effort to provide the latest information heading into the weekend. The weekly fishing report is compiled from information gathered from local bait shops, angler creel surveys, and county and state parks staff. For more information contact the Spirit Lake Hatchery at (712) 336-1840. Ice conditions are detraining, foot travel is recommended and walleye season is closed. Ice conditions are detraining foot travel is recommended and walleye season is closed. Northern Pike – Fair: Try putting a tip-up out while bluegill fishing for a bonus pike. Bluegill – Fair: Most activity has taken place in Millers and Emerson bays. Yellow Perch – Fair: Continue to look in 30 plus feet of water. Ice conditions are detraining foot travel is recommended. Try fishing the edges of the dredge cuts for crappie, perch, walleye, and catfish. 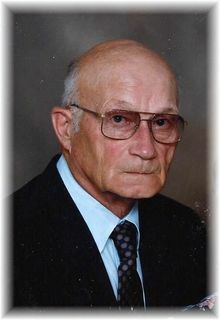 Gerrit Van Der Plaats, age 82, of Sheldon, Iowa, passed away on Wednesday, March 26, 2014 at Sanford Hospital in Sheldon. Funeral Services will be Saturday, March 29, 2014 at 10:30 A.M. at the First Reformed Church in Sheldon. Rev. Bruce Wilderdink officiating. Burial to follow at the East Lawn Cemetery in Sheldon. Visitation will be Friday, March 28, from 2:00 to 8:00 P.M. with the family present from 6:00 to 8:00 P.M. at the Andringa Funeral Home Sheldon Funeral Service in Sheldon. The Andringa Funeral Home Sheldon Funeral Service in charge of arrangements for Gerrit Van Der Plaats. Gerrit Van Der Plaats was born on August 5, 1931 in Sibley, Iowa. He was the son of Arjen and Sadie (Damstra) Van Der Plaats. He lived his youth in Sheldon, Iowa and attended Sheldon Christian Grade School. In his early teens Gerrit was employed by Millard McNut with farming until he was drafted into the United States Army. He served in the Army from 1952 to 1955 and was honorably discharged on February 24, 1955 after serving during the Korean Conflict. He was united in marriage to Hattie Rens of Sioux Center, Iowa on August 8, 1956 in Sioux Center. After their marriage, they lived on farms in Primghar, Hospers and Ocheyedan, Iowa, before moving to Sheldon, Iowa, in 1992. After farming until 1970, Gerrit was self-employed in general construction until he retired in 1992. Upon retirement, he drove truck for White Wolf Web in Sheldon and American Beauty in Boyden. He completely retired in 2005, due to his health. Hattie passed away on March 10, 2007. Gerrit was a former member of the Melvin Reformed Church, where he served as an elder. He was presently a member of the First Reformed Church in Sheldon. The most important part of Gerrit’s life was his family. He enjoyed telling stories, playing card games and family reunions. Gardening, especially growing tomatoes, was something he was proud of also. He passed away on Wednesday, March 26, 2014 at Sanford Sheldon Medical Center. Those left to cherish his memories are his children: Gerrit W. and Connie Van Der Plaats of Kentwood, MI, Ellen R. Korver of Sioux Center, IA, Arlen R. and Rebecca Van Der Plaats of Sheldon, IA, Harold G. and Laurie Van Der Plaats of Tarkio, MO, Lora B. and Jerry Kroon of Bellingham, WA, Lisa B. and Richard Schwanke of Rock Valley, IA; 16 grandchildren; 3 great-grandchildren; one sister: Myrna and Courtney Elbers of Alvord, IA; one sister-in-law: Katherine Vander Plaats of Sheldon, IA. He was preceded in death by his wife, Hattie; his parents; and 3 brothers: Harold, John and Wilton. Hunters with a youth turkey season license who are not successful at harvesting a turkey in the April 5-13 youth turkey season can now get a do-over. They may use that unfilled youth license in any of the spring turkey hunting seasons. Youth hunters may also obtain an additional license for the fourth season, if they choose. Last year, 4,100 hunters participated in the youth turkey season and reported harvesting 1,050 turkeys. This new regulation became effective when Iowa Governor Terry Branstad signed the bill into law March 14. The youth season information in the hunting regulations was updated online at www.iowadnr.gov/Hunting/HuntingLicensesLaws.aspx to reflect the change in the law. This change occurred after the printed regulations booklets were issued last August. Judging by the inquiries at late winter outdoor shows, anglers and boaters are getting ready for spring. One of the most-asked questions at the DNR booth was about a new regulation requiring drain plugs to be pulled as a boat leaves a ramp. The new regulation is to avoid spreading invasive species from one body of water to another; through residual water inside your boat or vegetation which remains attached to your boat, motor or trailer. Enforcement was ‘soft’ last summer. It will step up this year. Invasive species could range from vegetation such as Eurasian watermilfoil or brittle naiad to water dwelling animals such as zebra mussels—or even minnows purchased elsewhere. Once introduced into another water body, the unwanted species can spread throughout, often with few or no natural predators or vegetation to control the spread. That crowds out native species; disrupting the ecology of the lake or stream…as well as fishing and other recreation. Is it worth the extra few seconds to pull a drain plug or clean that aquatic plant trailing from your boat motor? It can cost a couple million of your license dollars…and three or four years of your fishing recreation to draw down a lake, kill out the invasive species, renovate it, restock it and wait for fish to grow back to catchable size. 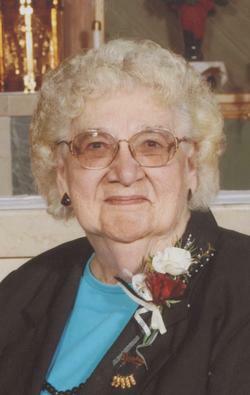 Lucille Wessels age 89 of Sibley, IA died Sunday, March 23, 2014 at the Osceola Community Hospital in Sibley, IA. Funeral service will be 1:30 p.m. Wednesday, March 26, 2014 at the Jurrens Funeral Home in Sibley, with Reverend Dale Lint officiating. Burial will follow in Holman Township Cemetery in Sibley, IA. 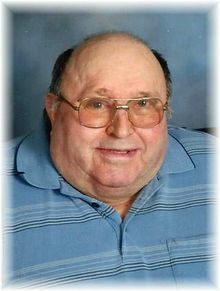 Visitation will be Wednesday, March 26th from 11:00 a.m. until time of service at the Jurrens Funeral Home of Sibley. Lucille Fern Wessels was born on August 11, 1924 near Rushmore, MN to John and Lovina (Moar) Odens. She grew up in the Little Rock, IA and Rushmore, MN area and graduated from Sibley High School in 1942. On August 23, 1942, Lucille was united in marriage to Heye Wessels at the Presbyterian Church Parsonage in Ashton, IA. To this union two sons were born, Dennis and Daniel Wessels. The couple farmed near Sibley until they retired and moved into Sibley. Throughout her life Lucille worked at a couple different places such as Sibley Egg & Poultry and the Sibley Care Center (now the Sibley Nursing & Rehab Center). She enjoyed crocheting, baking, cards, reading, listening to country music, watching cooking shows and word search books. She was there for her family and ready to do whatever was needed. She loved spending time with her grandchildren and their families. The family felt they were so blessed to have her be with them for so many years. She will be greatly missed. Lucille is survived by her two sons: Dennis (Sharon) Wessels of Balaton, MN and Daniel (Betty Jo) Wessels of Sibley, IA; five grandchildren, Douglas Wessels, Susan (Dennis) Fields, Sheila (Jason) Szczawinski, Rebecca (Chet) Stofferan and Danelle (Joseph) Williams; eleven great-grandchildren and three great-great-grandchildren; one brother, Larry (Rena) Odens of Gretna, NE; and many nieces and nephews. She was preceded in death by her husband, Heye on September 28, 1984; parents, John and Lovina Odens; two brothers and sisters-in-law, Lawrence (Irene) Odens and Ben (Lois) Odens; two sisters, Laura Christians and Mae Wessels. Sibley, Iowa — A Sibley man will serve probation and pay fines after a recent drug-related guilty plea. The Osceola County Sheriff’s Office reports that 41-year-old Matthew Scott Rueter of Sibley pled guilty to a violation of the “Gatherings Where Controlled Substances are Used” law, a Serious Misdemeanor. Rueter was ordered to pay a fine of $900, a 35% surcharge of $315, court costs, and restitution of any court-appointed attorney fees. An additional drug abuse resistance education surcharge of $10 was assessed and must also be paid. He was further sentenced to 60 days in the Osceola County Jail, with all time suspended during a 2-year formal probation to the Osceola County Sheriff. Orange City, Iowa — A Sibley man was arrested on a charge and a warrant near an Orange City parking lot early on Friday. The Sioux County Sheriff’s Office reports that on Friday, March 21, at 1:45 AM, one of their deputies arrested 25-year-old Brad Austin of Sibley on a charge of Driving While Barred. It was discovered that Austin’s driver’s license was barred because he was an habitual violator. The deputy was also able to find out that Austin had an active arrest warrant in Wright County. According to Sioux County Jail records, he was transported to the jail, where bond was set at $2000. Austin was released on bond that same day. Ice conditions are deteriorating foot travel is recommended and walleye season is closed. Ice conditions are deteriorating foot travel is recommended and walleye season is closed. Northern Pike – Fair: Try a tip-up while bluegill fishing for a bonus pike. Bluegill – Fair: Most activity has taken place in Millers and Emerson bays. Yellow Perch – No Report: Perch should still be roaming deeper water; be prepared to drill lots of holes to locate an active school. A large open hole is slowly expanding in the southeast portion of the lake. Ice conditions are deteriorating foot travel is recommended. Try fishing the edges of the dredge cuts for crappie, perch, walleye, and catfish. Edward Loetscher, age 82, passed away on Wednesday, March 19, 2014 at the Sibley Nursing and Rehab in Sibley. Funeral Services will be Sunday, March 23, 2014 at 1:30 P.M. the Andringa Funeral Home in Sibley. Rev. Luke Schouten, officiating. Burial to follow at Holman Township Cemetery in Sibley, Iowa. Visitation will be Saturday, March 22 from 2:00 to 8:00 P.M. with the family present from 6:00 to 8:00 P.M. at the Andringa Funeral Home in Sibley. The Andringa Funeral Home of Sibley in charge of arrangements for Edward Loetscher. Edward Anno Loetscher was born on September 7, 1931 in Sibley, Iowa. He was the son of Alfred and Matilda (Prins) Loetscher. He lived his youth in Sibley where he attended a country school. He was united in marriage to Charnell Reverts of Little Rock, Iowa on December 12, 1951. They lived in Sibley where Ed drove a livestock tractor trailer and hauled canned milk. He was later employed by A.M.P.I. hauling cheese, retiring at the age of 65. Charnell passed away on June 30, 2010. Ed liked to help his kids with 4-H and fairground activities. He enjoyed teaching his boys how to hunt and fish and was involved in following their activities. His grandchildren remember being allowed to drive his old cars. Later in life Ed enjoyed visiting and going to auctions. He was interested in antiques, guns, toys, and coins. He also liked to work in his shop and take care of the house, yard and large garden. His beautiful flowers and gladiolas were noticed by many. He passed away on Wednesday, March 19, 2014 at Sibley Nursing and Rehab in Sibley. Those left to cherish his memories are his children: Donna C. Basile of Westminster, CO, Dennis W. and Krista Loetscher of Aurora, CO, Doreen L. and Dennis Hatting of Ashton, IA; 8 grandchildren: Gregory Basile, Michelle Loetscher, Christina (David) Whetstone, Rachel Loetscher,Edward Loetscher, Christopher Loetscher, Emily Loetscher, Amanda Hatting (Josh); 3 great-grandchildren: Eric Loetscher, Tyler Loetscher, Ahlyssa Loetscher; one sister: Barbara P. and Harry Blau of Sibley, IA. He was preceded in death by his wife Charnell, son Duane Loetscher, and his parents. With no fatalities, 11 injuries and six cases of property damage, Iowa hunters matched a record low in 2013; continuing a decade long run of safe hunting seasons. That 17-incident year tied 2008, though ’08 did register a gun related fatality. Still, when any incident could result in tragedy, the goal is ‘zero’ across the board. A jacket drawstring….a handgun falling from a truck…thick brush on a creek bank. Each triggered a gun to fire in 2013. Linn, Marion and Floyd counties each recorded two 2013 incidents. The others were spread among 11 central, eastern and north-central counties. The key to the long term drop can be traced directly to many Saturday mornings or Sunday afternoons…in mandatory hunter education classrooms and outdoor safety courses. There were 11,505 Iowa students certified in 368 classes 2013. The 10 hour sessions, usually spread over two or three days, teach basic understanding of hunting regulations, first aid and ethics, as well as safe firearm handling, and wildlife understanding; all under the watchful eyes of nearly 1,300 volunteer instructors. The classes and emphasis evolve over time. For instance an ‘online only’ course is now available for adults; recognition that work schedules and juggling family commitments don’t always leave two or three days in a row to sit through a class. Even the areas of emphasis are updated through the years. With upwards of 50,000 archery deer hunters, now; a noticeable climb in tree stand falls—some fatal—brings special attention to tree stand safety. And the emphasis on safety continues in the stand. A decade ago, most tree stand hunters slid a single strap around their waist…if that. Now, full body harnesses are recommended. “Still, people are not always properly wearing them. That has resulted in injuries…and death,” warns Jorgensen. There were two fatal bowhunting falls in 2012. And plan ahead. Since volunteer instructors are on their own time, most classes come in March, early April…and late summer and early fall; before Iowa’s major hunting seasons.